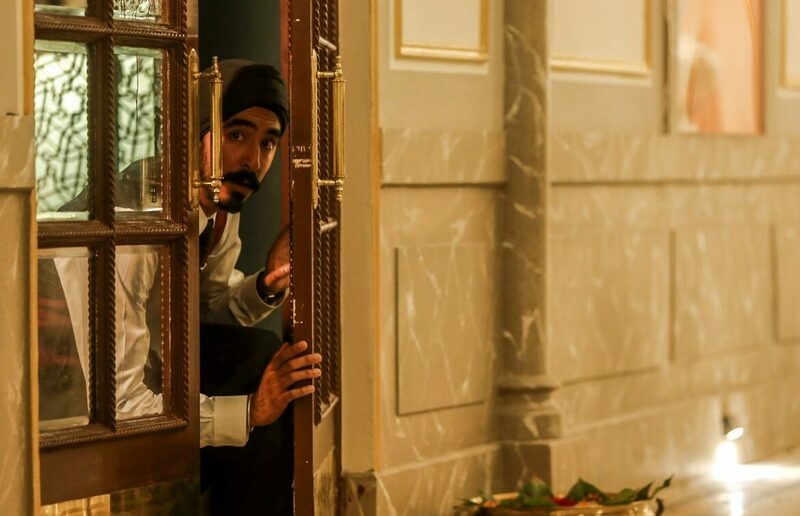 “Hotel Mumbai” is an exacting and horrific, matter-of-fact telling of the 2008 Mumbai terror attacks. The luxury and comfort of the The Taj Mahal Palace Hotel in Mumbai, India, was horrifically disrupted in November of 2008, when terrorists from neighboring Pakistan laid siege to the structure. The staff and residents were wholly unprepared for this attack. But through the quick thinking and bravery of hotel staff, lives were saved. “Hotel Mumbai” tracks those events that occurred throughout the city, as the world watched in disbelief on 24 hour news. Much of the action in the film takes place within the five star hotel itself. It’s a grueling endurance test for the audience, but gives viewers an intimate look at what it was like to live and die within the blood-soaked walls of a place where violence was ordinarily not present. I came away thinking: it could happen here. One busy morning in November, waiter Arjun (Dev Patel) kisses his wife and leaves his small apartment for work. He and his wife have a baby and there is one on the way. When he arrives to work, he discovers that he has lost his shoes. Noticing this, the head chef, Oberoi (Anupam Kher), wants to send him home. But Arjun begs to stay. Of course, the irony is that had he been sent home, he would not have gotten caught in the terror that follows. Guests arrive. We meet David (Armie Hammer) and his wife Zahra (Nazanin Boniadi), who enter with their nanny and young child in tow. The hotel staff have been preparing for their arrival—making the bath water the perfect temperature and adorning the suite with rose petals. 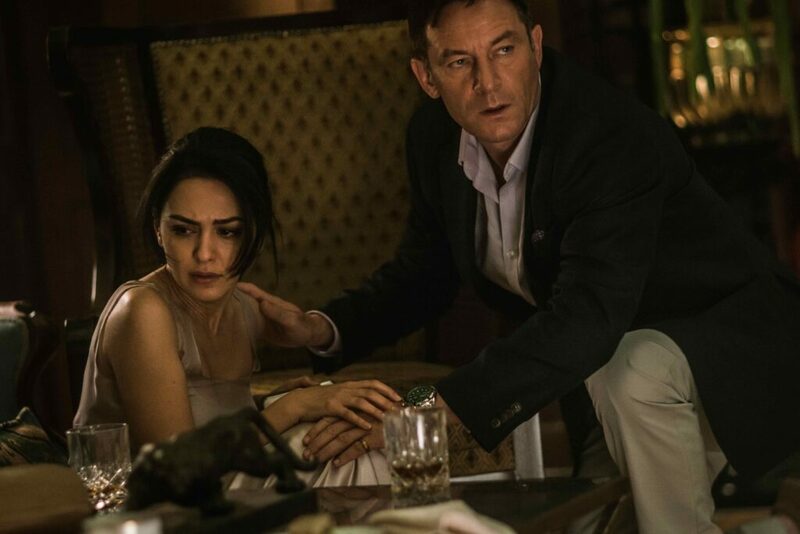 Another guest is a Russian named Vasili (Jason Isaacs). His desires are a bit more edgy. Openly, in one of the hotel’s restaurants, he selects prostitute for the evening from a collection of scattered about headshots. The terrorists, who communicate with their employer via cell phones and wired earbuds, arrive in Mumbai by boat. The live lines appear to be continuous. The mysterious leader of this group monitors their exploits, reminding them to always keep their phones on so that the world can listen. Don’t expect “Hotel Mumbai” to be a true story “Die Hard.” While all the elements are there, the film plays out like an incremental insider look at the terror as it transpires. It’s certainly harrowing, and there are heroes, but they aren’t ones that brandish machine runs to colorfully mow down the faceless bad guys. And there are no funny one-liners either. 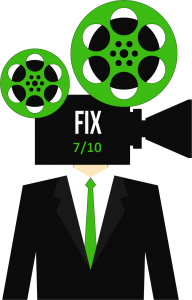 Director Anthony Maras takes a page from the Paul Greengrass school (see “United 93”), and refuses to give us a feel-good story. 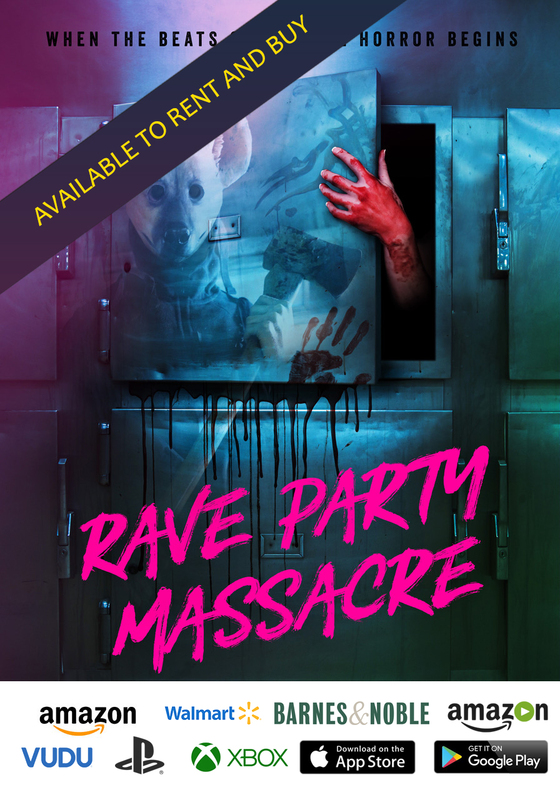 Maras allows the events to transpire in a realistic, uncompromising manner. 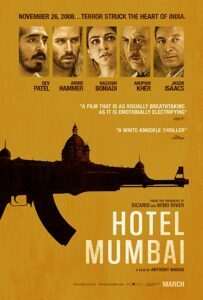 A gritty and assaultive viewing experience, “Hotel Mumbai” reminds us all how close we are to falling prey to fanatics that justify murder and violence in the name of a higher power.